A classic game that is sure to bring a little competition to your group. An easy game to explain and execute. Have fun and protect those ankles! 3. Boundaries. 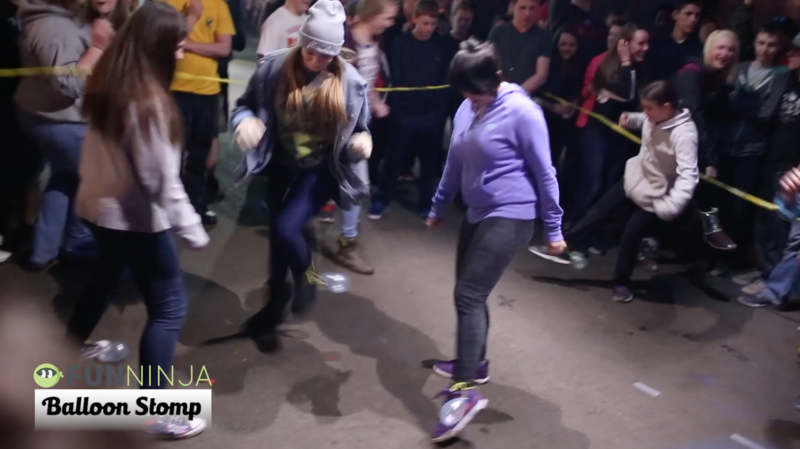 We used caution tape so the audience could surround the game, it really ups the intensity. Tie a string to a balloon. Then tie the other end to an ankle of a student. 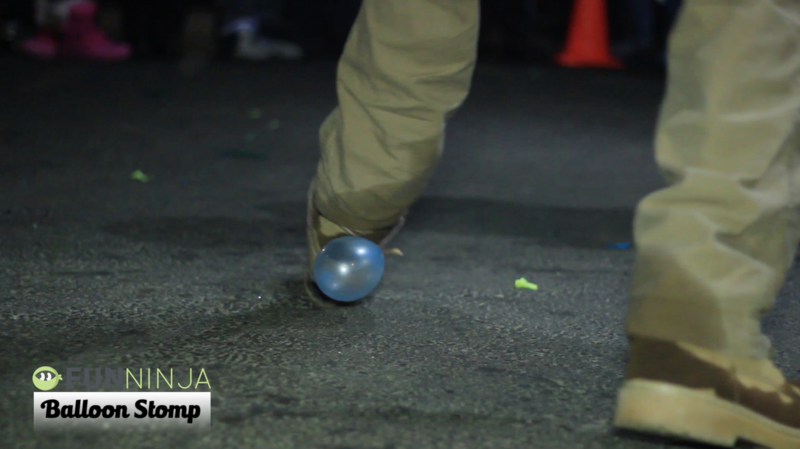 Game play is fairly simple you just try to pop everyone’s balloons before they get yours. 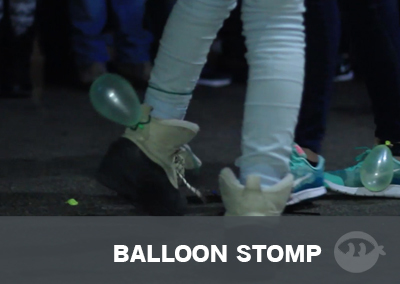 You can only use your feet to stomp out other balloons.